Taylor achieved his breakthrough in 1970 with the No. 3 single "Fire and Rain" and had his first No. 1 hit the following year with "You've Got a Friend", a recording of Carole King's classic song. His 1976 Greatest Hits album was certified Diamond and has sold 12 million US copies. Following his 1977 album, JT, he has retained a large audience over the decades. Every album that he released from 1977 to 2007 sold over a million copies. His chart performance had a resurgence during the late 1990s and 2000s, when he recorded some of his most-awarded work (including Hourglass, October Road, and Covers). He achieved his first number one album in the US in 2015 with his recording Before This World. 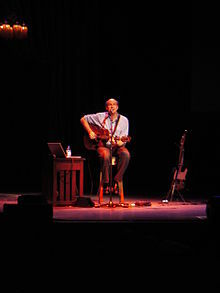 He is notable for his popular covers of other peoples' songs, such as "How Sweet It Is (To Be Loved By You)" and the aforementioned "You've Got A Friend", as well as originals such as "Fire and Rain". 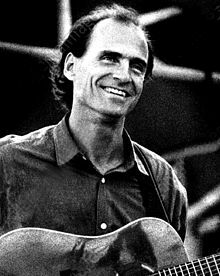 James Vernon Taylor was born at Massachusetts General Hospital in Boston on March 12, 1948, where his father, Isaac M. Taylor, was a resident physician. His father was from a well-off family of Southerners of Scottish ancestry. His mother, the former Gertrude Woodard (1921–2015), studied singing with Marie Sundelius at the New England Conservatory of Music and was an aspiring opera singer before the couple's marriage in 1946. James was the second of five children, the others being Alex (1947–1993), Kate (born 1949), Livingston (born 1950), and Hugh (born 1952). In 1951, when he was three, his family moved to what was then the countryside of Chapel Hill, North Carolina, when Isaac took a job as an assistant professor of medicine at the University of North Carolina School of Medicine. They built a house in the Morgan Creek area off the present Morgan Creek Road, which was sparsely populated. James would later say, "Chapel Hill, the Piedmont, the outlying hills, were tranquil, rural, beautiful, but quiet. Thinking of the red soil, the seasons, the way things smelled down there, I feel as though my experience of coming of age there was more a matter of landscape and climate than people." James attended public primary school in Chapel Hill. Isaac's career prospered, but he was frequently away from home, on military service at Bethesda Naval Hospital in Maryland, or as part of Operation Deep Freeze in Antarctica in 1955 and 1956. Isaac Taylor later rose to become dean of the UNC School of Medicine from 1964 to 1971. The Taylors spent summers on Martha's Vineyard beginning in 1953. Taylor first learned to play the cello as a child in North Carolina and switched to the guitar in 1960. His style on that instrument evolved from listening to hymns, carols, and Woody Guthrie, and his technique derived from his bass clef-oriented cello training and from experimenting on his sister Kate's keyboards: "My style was a finger-picking style that was meant to be like a piano, as if my thumb were my left hand, and my first, second, and third fingers were my right hand." He began attending Milton Academy, a preparatory boarding school in Massachusetts in fall 1961. Summering before then with his family on Martha's Vineyard, he met Danny Kortchmar, an aspiring teenage guitarist from Larchmont, New York. The two began listening to and playing blues and folk music together, and Kortchmar quickly realized that Taylor's singing had a "natural sense of phrasing, every syllable beautifully in time. I knew James had that thing." Taylor wrote his first song on guitar at 14, and he continued to learn the instrument effortlessly. By the summer of 1963, he and Kortchmar were playing coffeehouses around the Vineyard, billed as "Jamie & Kootch". Taylor faltered during his junior year at Milton, feeling uneasy in the high-pressured college prep environment despite a good scholastic performance. The Milton headmaster would later say, "James was more sensitive and less goal oriented than most students of his day." He returned home to North Carolina to finish out the semester at Chapel Hill High School. There, he joined a band his brother Alex had formed called The Corsayers (later The Fabulous Corsairs), playing electric guitar; in 1964, they cut a single in Raleigh that featured James's song "Cha Cha Blues" on the B-side. Having lost touch with his former school friends in North Carolina, Taylor returned to Milton for his senior year. Taylor checked himself out of McLean before, at Kortchmar's urging, moving to New York City to form a band. They recruited Joel O'Brien, formerly of Kortchmar's old band King Bees, to play drums, and Taylor's childhood friend Zachary Wiesner (son of noted academic Jerome Wiesner) to play bass, and after Taylor rejected the notion of naming the group after him, they called themselves the Flying Machine. They played songs that Taylor had written at and about McLean, such as "Knocking 'Round the Zoo", "Don't Talk Now", and "The Blues Is Just a Bad Dream". In some other songs, Taylor romanticized his life, but he was plagued by self-doubt. By summer 1966, they were performing regularly at the high-visibility Night Owl Cafe in Greenwich Village, alongside acts such as the Turtles and Lothar and the Hand People. Living chaotically in various places with various women, Taylor wrote additional material, including "Carolina in My Mind", and rehearsed with a new backing band. Taylor recorded what would become his first album from July to October 1968, at Trident Studios, at the same time the Beatles were recording The White Album. McCartney and an uncredited George Harrison guested on "Carolina in My Mind", whose lyric holy host of others standing around me referred to the Beatles, and the title phrase of Taylor's "Something in the Way She Moves" provided the lyrical starting point for Harrison's classic "Something". McCartney and Asher brought in arranger Richard Anthony Hewson to add both orchestrations to several of the songs and unusual "link" passages between them; they would receive a mixed reception, at best. His career success so far and appeal to female fans of various ages piqued tremendous interest in him, prompting a March 1, 1971, Time magazine cover story of him as "the face of new rock." It compared his strong-but-brooding persona to that of Wuthering Heights' Heathcliff and to The Sorrows of Young Werther, and said, "Taylor's use of elemental imagery—darkness and sunlight, references to roads traveled and untraveled, to fears spoken and left unsaid—reaches a level both of intimacy and controlled emotion rarely achieved in purely pop music." One of the writers described his look as "a cowboy Jesus," to which Taylor later replied, "I thought I was trying to look like George Harrison." Released in April, Mud Slide Slim and the Blue Horizon also gained critical acclaim and contained Taylor's biggest hit single in the US, a version of the Carole King standard "You've Got a Friend" (featuring backing vocals by Joni Mitchell), which reached #1 on the Billboard Hot 100 in late July. The follow-up single, "Long Ago and Far Away," also made the Top 40 and reached #4 on the Billboard Adult Contemporary chart. The album itself reached #2 on the album charts, which would be Taylor's highest position ever until the release of his 2015 album, Before This World, which went to #1, superseding Taylor Swift. In 1977 Taylor signed with Columbia Records. Between March and April, he quickly recorded his first album for the label. JT, released that June, gave Taylor his best reviews since Sweet Baby James, earning a Grammy nomination for Album of the Year in 1978. Peter Herbst of Rolling Stone was particularly favorable to the album, of which he wrote in its August 11, 1977 issue, "JT is the least stiff and by far the most various album Taylor has done. That's not meant to criticize Taylor's earlier efforts.... But it's nice to hear him sounding so healthy." JT reached #4 on the Billboard charts and sold more than 3 million copies in the United States alone. The album's Triple Platinum status ties it with Sweet Baby James as Taylor's all-time biggest selling studio album. It was propelled by the successful cover of Jimmy Jones's and Otis Blackwell's "Handy Man," which hit #1 on Billboard's Adult Contemporary chart and reached #4 on the Hot 100, earning Taylor another Grammy Award for Best Male Pop Vocal Performance for his cover version. The song also topped the Canadian charts. The success of the album propelled the release of two further singles; the up-tempo pop "Your Smiling Face," an enduring live favorite, reached the American Top 20; however, "Honey Don't Leave L.A.", which Danny Kortchmar wrote and composed for Taylor, did not enjoy much success, reaching only #61. On December 7, 1980, Taylor had an encounter with Mark David Chapman, who would assassinate John Lennon just one day later. Taylor told the BBC in 2010: "The guy had sort of pinned me to the wall and was glistening with maniacal sweat and talking some freak speak about what he was going to do and his stuff with how John was interested, and he was going to get in touch with John Lennon. And it was surreal to actually have contact with the guy 24 hours before he shot John." The next night, Taylor, who lived in the next building from Lennon, heard the assassination occur. Taylor commented: "I heard him shot—five, just as quick as you could pull the trigger, about five explosions." Simon announced her separation from Taylor in September 1981 saying, "Our needs are different; it seemimpossible to stay together" and their divorce finalized in 1983. Their breakup was highly publicized. At the time, Taylor was living on West End Avenue in Manhattan and on a methadone maintenance program to cure him of his drug addiction. Over the course of four months starting in September 1983, spurred on in part by the deaths of his friends John Belushi and Dennis Wilson and in part by the desire to be a better father to his children Sally and Ben, he dropped methadone and kicked his heroin habit. Taylor had thoughts of retiring by the time he played the Rock in Rio festival in Rio de Janeiro in January 1985. He was encouraged by the nascent democracy in Brazil at the time, buoyed by the positive reception he got from the large crowd and other musicians, and musically energized by the sounds and nature of Brazilian music. "I had... sort of bottomed-out in a drug habit, my marriage with Carly had dissolved, and I had basically been depressed and lost for a while," he recalled in 1995. "I sort of hit a low spot. I was asked to go down to Rio de Janeiro to play in this festival down there. We put the band together and went down and it was just an amazing response. I played to 300,000 people. They not only knew my music, they knew things about it and were interested in aspects of it that to that point had only interested me. To have that kind of validation right about then was really what I needed. It helped get me back on track." The song "Only a Dream in Rio" was written in tribute to that night, with lines like I was there that very day and my heart came back alive. The October 1985 album, That's Why I'm Here, from which that song came, started a series of studio recordings that, while spaced further apart than his previous records, showed a more consistent level of quality and fewer covers, most notably the Buddy Holly song "Everyday", released as a single reached No. 61. On December 14, 1985, Taylor married actress Kathryn Walker at the Cathedral of St. John the Divine in New York. She had helped him get off heroin and Taylor's next albums were partially successful; in 1988, he released Never Die Young, highlighted with the charting title track, and in 1991, the platinum New Moon Shine provided Taylor some popular songs with the melancholic "Copperline" and the upbeat "(I've Got to) Stop Thinkin' About That", both hit singles on Adult Contemporary radio. In the late 1980s, he began touring regularly, especially on the summer amphitheater circuit. 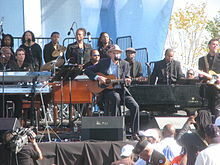 His later concerts feature songs spanning his career and are marked by the musicianship of his band and backup singers. The 1993 two-disc Live album captures this, with a highlight being Arnold McCuller's descants in the codas of "Shower the People" and "I Will Follow". In 1995, Taylor performed the role of the Lord in Randy Newman's Faust. On November 22, 2011, Taylor performed "Fire and Rain" with Taylor Swift at the last concert of her Speak Now World Tour in Madison Square Garden, as well as her own song, "Fifteen". Then, on July 2, 2012, Swift appeared as Taylor's special guest in a concert at Tanglewood. 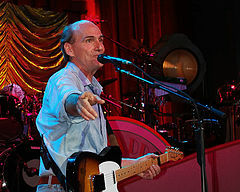 Taylor Swift was named after singer James Taylor. Taylor's four siblings (Alex, Livingston, Hugh, and Kate) have also been musicians with recorded albums. Livingston is still an active musician; Kate was active in the 1970s but did not record another album until 2003; Hugh operates a bed-and-breakfast with his wife, The Outermost Inn in Aquinnah on Martha's Vineyard; and Alex died in 1993 on Taylor's birthday. Sally and Ben, his children with Carly Simon, have also embarked on musical careers. Taylor's children with his current wife express little interest in music. He has twins, Rufus and Henry, and Taylor moved to Lenox, Massachusetts after their birth. 2004: Ranked 84th in Rolling Stone's list of "The Immortals: 100 Greatest Artists of All Time". Taylor performed "The Star-Spangled Banner" at Game 2 of the World Series in Boston on October 25, 2007, at Game 2 of the 2013 World Series in Boston n October 24, 2013, at Game 1 of the 2008 NBA Finals in Boston on June 5, 2008, and at the NHL's Winter Classic game between the Philadelphia Flyers and Boston Bruins. He appeared on the The Johnny Cash Show, singing "Sweet Baby James", "Fire and Rain", and "Country Road", on February 17, 1971. On January 11, 2015, as an apology for the absence of senior American officials at the solidarity march after the Charlie Hebdo shooting, John Kerry got James Taylor to sing You've Got a Friend to François Hollande. ^ "James Taylor Earns His First No. 1 Album on Billboard 200 Chart After 45-Year Wait". Billboard. Retrieved August 25, 2015. 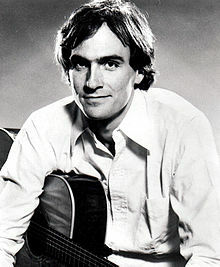 ^ "James Taylor Fine Art Print". Wolfgang's Vault. Retrieved December 26, 2008. ^ "James Taylor Booking Agent – Corporate Event Booking Agent". Grabow.biz. Retrieved June 17, 2015. ^ Hinckley, David (August 13, 2002). "Taylor's 'Road' to Happiness". New York Daily News. Retrieved March 17, 2009. 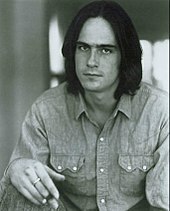 ^ "Walter Scott Asks … James Taylor". Parade. June 14, 2015. ^ "James Taylor performs with Tabernacle Choir, Utah Symphony", The Salt Lake Tribune, September 6, 2013.